The month of October is a busy month of ‘awareness.’ I searched for a full listing just this evening and every list I found included a cause that the previous list did not include. Here are a few: Domestic Violence Awareness Month, Down Syndrome Awareness Month, Eye Injury Prevention Month, Hunger Awareness Month, National AIDS Awareness Month … the list could go on and on. Every one of these causes is important to someone, lots of someone’s. If not, they wouldn’t be recognized. Some are so important that they are recognized not only nationally, but globally. I have spent a lot of time this month focusing on pregnancy and infant loss awareness. Last year, I was still so fresh in my grief that the month came and went without too much notice. This year, it was my mission to bring awareness, if even to just one person. If just one person learned something or was touched in some way by what was shared, then it was worth the focused effort. Both of my grandmothers had breast cancer. Both of them fought hard to win the battle. One grandma lived several years cancer free. There are several other women I know that have fought the battle and won. My other grandma fought it off, only to have it return as bone cancer a few years later. She lost her battle in June 2012. There are other women I know that have fought the battle and lost. This post is dedicated first to my Grandma and my Grandma Nina, strong women who will always be a source of encouragement for me, even from heaven. This post is also dedicated to all women who are survivors of breast cancer, those who lost their battle and those yet to come who will endure the pain of learning they have breast cancer. May we someday find a cure for this horrible disease! Rodger and I are featured over at Still Breathing today as the Inspirational Bereaved Parent. We are honored to share a part of Kyleigh’s story and hope you take the time to read Nora’s story over at Still Breathing. October 15, is National Pregnancy and Infant Loss Remembrance Day. Everyone is invited to light a candle at 7pm in memory of all babies lost to miscarriage, stillbirth and infant loss. Take a picture of your candle and email it to: info@kyleighsgift.com. I will post the pictures soon after. 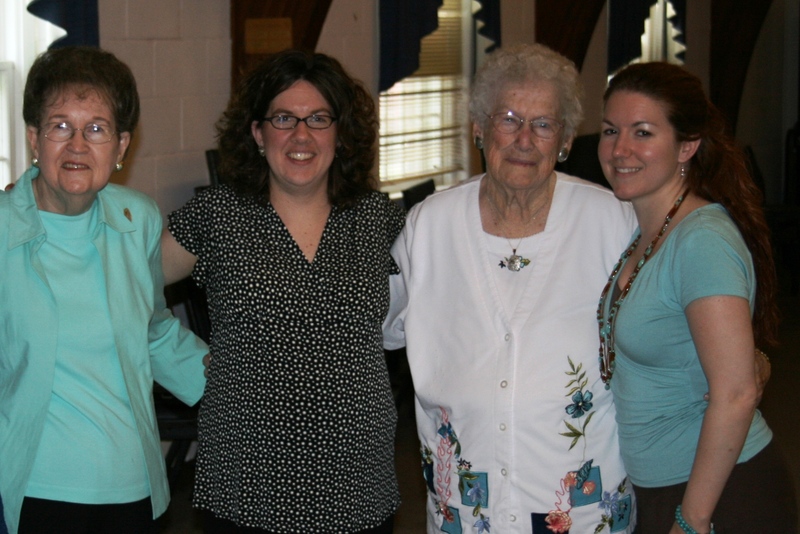 There are many organizations and support groups that hold ceremonies on or around October 15. You can find a list of activities across the U.S. here, http://www.october15th.com/activities-walks/, or by doing a quick internet search on your own. I apologize if the event you find has already happened; I was hoping to get this information posted sooner. My hope is that this time next year, we will be holding an event through Kyleigh’s Gift to honor and remember all babies who have left us too soon. Stay tuned for more details after the first of the year! Throughout the month of October, I have been posting information regarding pregnancy loss on the Kyleigh’s Gift Facebook page. The first few weeks have focused on miscarriage and I plan to conclude the month with facts about stillbirth. If you are on Facebook, hop on over and ‘Like’ Kyleigh’s Gift. In honor of National Pregnancy and Infant Loss Remembrance Day, we will be holding a raffle fundraiser for Kyleigh’s Gift! Stay tuned for more information coming soon! Last, Kyleigh’s Gift has email! 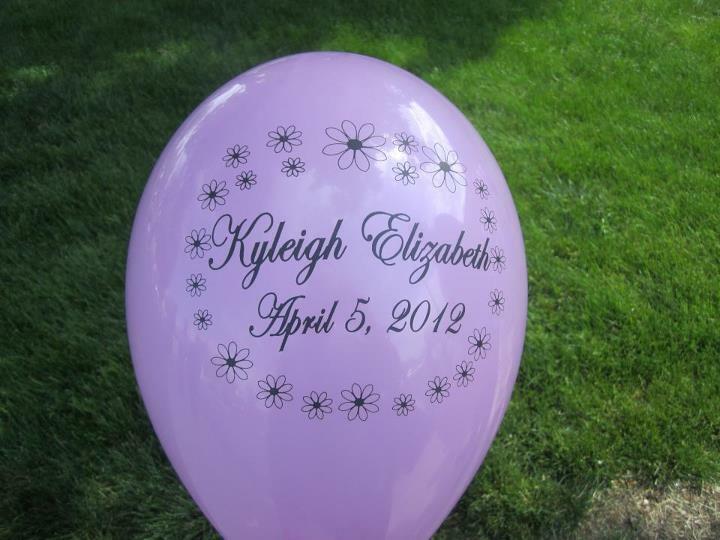 You can contact us at: info@kyleighsgift.com. Feel free to contact us with questions, your own story of loss or just to say hi! In recent months my travels have been more numerous than I have experienced in many years. Back in mid-September, I found myself in Calgary, Alberta for another few hours of meetings that required a day of travel up and back. On the previous trip I was surprised at the amount of foot traffic at the airport for an 0600 flight, so I decided to get there a bit early in hopes of beating the crowds. I was successful. I have this rather unfortunate ability to wake up before my alarm. This is especially true when there’s something on my mind that starts early in the morning and I know that I have to awake. On the night before my flight, I packed my bags and set the alarm for 0345. I awoke the next morning at 0315. Off to the airport I drove with very few other souls awake in Calgary. I arrived at the line for customs a few steps before another guy, but I let him go ahead. People are often surprised by a simple gesture such as this, as was he, but I figured, I’m 2.5 hours before my flight and heading to the gate, so a few extra minutes in line waiting for him to clear won’t hurt. We followed the line and snaked through the silly people-routing lanes only to find the door to the customs hall was locked. As it turns out, you cannot get into customs until 0430, so we were numbers 1 & 2 in line. We had 30 minutes to stand there and chat while the queue built behind us. He was on his way to Baltimore. “Where are you going and where are you from” is always a fascinating question to me, but it’s rather superficial. His professional story was a bit similar to mind, but his allegiances were much different. His next trip was 2 weeks away, and he was to fly out on his wife’s birthday. Bad idea man, bad idea. He decided it was ok because they were celebrating the weekend before, but still, only the relationship between me and my God is more important to me than what my wife and I share and my heart broke for her. Such is business travel…or so it trends. When the doors finally opened we rushed through the next room of people-routing lanes. We all moved left then right, left then right…it’s probably a comical sight for the “first line of defense” officers that guard our countries borders. He was detained a bit and I sailed through. That made me first through customs and I thought to myself, “this is new.” I’ve traveled so much recently that I’ve sort of run-out of “first” experiences so I was a little surprised by it. I was first through security and was so excited by this that I told the agent checking my boarding pass. She politely congratulated me and sent me on my way. That popped my bubble as I realized she gets that every day and she was about to work with a steady stream of people for the next 6 – 8 hours. I’m very grateful that my job has some variability to it. After my “first” cup of coffee, “first” arrival at the departure gate and “first” to select from the comfy chairs in the terminal, I crashed until it was time to board. I don’t usually travel home on Saturday’s, and this time we had a Roller Derby Championship game (Way to go ROYAL PAINS and my crazy sister Amber!!) to go to in the evening so I was ready to catch up on the hours of sleep that I lost in the hustle of travel. I had an upgraded seat on the way out of Calgary, so I knew I would sleep on the flight. I was wrong. I fell asleep during the taxi and safety briefing, but I was wide awake once we were airborne. I decided that was ok as I had a short layover in Salt Lake, then one more flight to KC. I just knew that I would sleep on the second leg. I opened the laptop and typed another few pages of emails in the never ending stream of static communication. It’s ironic really…the longer I work in my profession the more I hate email. It’s the least effective form of communication yet it’s the one we rely on the most for the most important information. I cannot wait for the day when this is deprecated for something more effective (like FaceTime!!). After the layover, I settled onto the plane using my coveted early-boarding privileges (that’s the same …thou shalt not covet…) and I was just getting comfortable when the last of my “firsts” was about to commence. A man named Richard sat next to me and started asking the typical traveler questions. It started out the same as the conversation that I’d had a few hours earlier with the guy in line at customs. I figured he wanted to know where I was coming from and where I was going, then he would leave me alone and I could sleep. In the spirit of full disclosure…I have one homeward bound travel shirt that I wear for this purpose. It’s an oversized KU shirt that is very comfortable, and tells people where I’m going. Generally speaking, it preempts the conversation before it starts. You look at the shirt, you see the logo, and you realize there’s no point in asking. The end result is that we both sit there, quietly, enjoying the hum of the engines and hopefully drift off to the place were dreams prevail. But he would have none of that. When I asked, “what do you do,” he told me that he recently (within the past few years) had started his second career. He said he used to be a lot like me, traveling around and doing business work, but that later in life he found something (or Someone) that gave him purpose. But it was that comment, “that he used to be a lot like me,” that kindled a fire inside of me. He had no idea who I was and he certainly had no idea of my story. He had no idea that I live everyday full of purpose. A few minutes into the flight the question came up, how many kids do you have? For some reason I felt this was not the time for simple answers and I felt like this man deserved to hear the story. Five. I have five children was my response. Two of my boys are with me at home. I have one daughter in heaven and two more whose gender I do not know. But I know that one day I’ll meet all of them together with my Savior, and my, what a reunion that will be! I figured this would do one of two things. I feel that people today are generally afraid to talk about death. When the subject comes up, they either change the subject by talking about rainbows and unicorns, or they think you are a lunatic who is fixated on the subject and not worth their time. But Richard was different. He did neither of these two things. He started asking me about my grief. About my wife’s grief. About our sons grief. He didn’t try to diffuse, derail or otherwise distract from the subject. He was genuine, sincere and listened patiently while I told my story. I wanted to tell him that I was nothing like who he used to be. Thankfully it didn’t take me a lifetime to figure out my purpose. I’ve already posted about the importance of Ephesians 2:10 to me and my life, “For we are His workmanship, created in Christ Jesus for good works, which God prepared beforehand so that we would walk in them.” It took just six minutes, eighteen months ago today, for this to crystalize in my mind. From 5:57 to 6:03 when my world turned upside down and it was time to test all that I had learned and believed in the fires of adversity. It is not surprising to me that the result is just as the Scriptures have promised. My intersection with Richard was not coincidental. Neither was it lucky. These words have no place for someone in relationship with Christ. As it turns out, Richard was en-route to visit a friend whose son had developed a severe medical condition. It sounded as if his life was in the balance and by God’s grace, it would go either direction. We talked about prayer, and that many times in prayer the answer isn’t always YES, but there is always an answer. It gave me an opportunity to talk about Kyleigh, about my friend Joe, about my God and about how everything we do either turns people toward or away from Him. He also told me a great deal about the city of his childhood, a place not 48 hours before I had decided I would take Leann for a weekend escape in the weeks ahead. I’m grateful for my intersection with Richard, and for this “first” opportunity to share my story with a complete stranger who simply wanted to listen. May God bless your ministry Richard, and may He grant Leann and I the rest we seek over our weekend away.